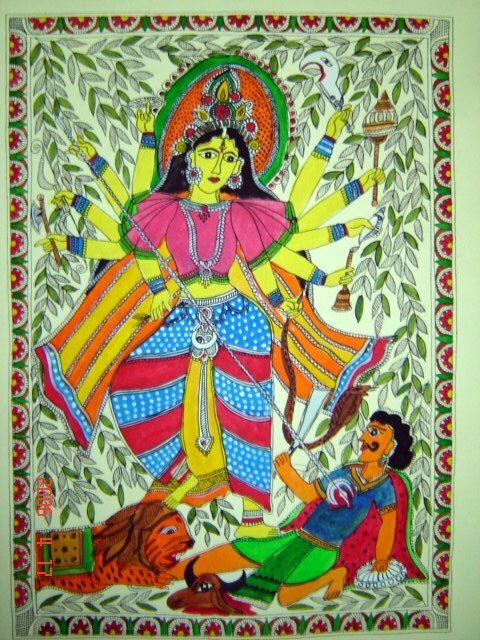 Depicted here is Goddess Durga killing Mahisasura, the demon--half man and half buffalo. The event is seen as a victory of good over evil. 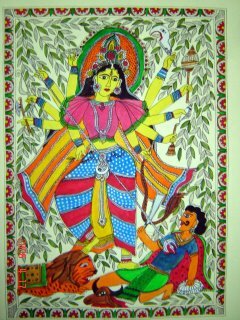 To celebrate this, the festival of Durga Puja s celebrated all over India. In her each arm she carries a weapon given by the gods. The goddess represents feminine and creative energy (Shakti) .